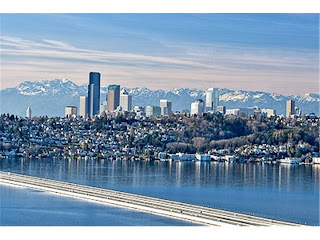 Our Mercer Island office has a home on Mercer Island's popular First Hill neighborhood for rent. The home features breathe taking views of Lake Washington, Downtown Seattle and the Olympics. This residence was built in 2001 and is 5,200 sqft with 5 bedrooms and 5 bathrooms. Several perks can be found through out the home, which include a Chef's kitchen with top of the line appliances, formal dining room, a guest suite and an executive office. The multiple decks are great for BBQ's and watching the sunset over the Seattle skyline. To find other Luxury Rentals, pleas click here.